A non-profit group has filed a complaint seeking to stop the MultiChoice Group from listing on the Johannesburg Stock Exchange later in the month without the express approval of the Independent Communications Authority of South Africa. According to an interim ruling issued by Icasa's Complaints and Compliance Committee on January 24, Khulisa Social Solutions wants an opportunity to file representations with the communications regulator before MultiChoice starts trading its shares. 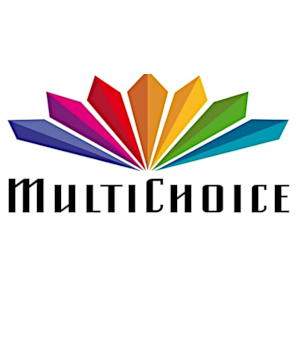 MultiChoice, meanwhile, has said it does not believe the regulator's approval is necessary for the listing to go ahead. In its complaint dated January 23, Khulisa argued the approval process for licence transfer to the new listed entity would have to include the opportunity for public comment. "We were advised that in terms of statute and case law, members of the public and PBOs (public benefit organisations) such as ourselves would be able to make representations to Icasa when the change of control process took place, prior to the listing," the complaint reads. In September 2018, Naspers announced its intention to list its video entertainment business separately on the JSE, and simultaneously unbundle the shares in the business to shareholders. This was anticipated for the first half of 2019, subject to the approval of the requisite regulatory authorities, Naspers said at the time. The new company would be named the MultiChoice Group and include MultiChoice South Africa, MultiChoice Africa, Showmax Africa, and digital protection company Irdeto. In its announcement, Naspers said this was a positive step that would "create an empowered, top 40 JSE-listed African entertainment company". In its pre-listing statement MultiChoice said trading in its shares was anticipated to commence on February 27. Calling the matter "clearly urgent", Icasa's committee said in its interim ruling that it was regarding Khulisa's complaint as a founding affidavit and ordered MultiChoice to file an answering affidavit by February 1. MultiChoice Group Executive for Corporate Affairs Jabavu Heshu told Fin24 on Thursday evening that MultiChoice had responded, but did not believe Icasa's approval was necessary for the listing to go ahead. "We have responded to the complaint lodged with Icasa's Complaints and Compliance Committee," Heshu said. "We remain of the view that Icasa is not required for the listing and unbundling of the MultiChoice Group." Khulisa has been ordered by Icasa to file a replying affidavit, with the matter set to be heard by February 15. * Fin24 is part of Media24, which is owned by Naspers.